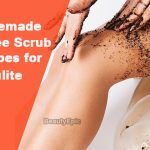 Home remedies for facial cleanliness and beauty have always been more effective and way more beneficial than the latest and trendy chemical treatments. The reason being its natural organic content which the skin identifies with, accepts and responds well to, better than any other cosmetic products. 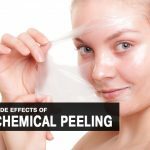 Kitchen contents like curd, lemon, tomato, honey and cucumber are all known to impart elasticity to the skin and maintain its youthful appearance. Some are used to reduce dark spots and marks while some are ground and applied to get rid of tanning. No matter what the need is, there is always something organic which can be used to treat it. 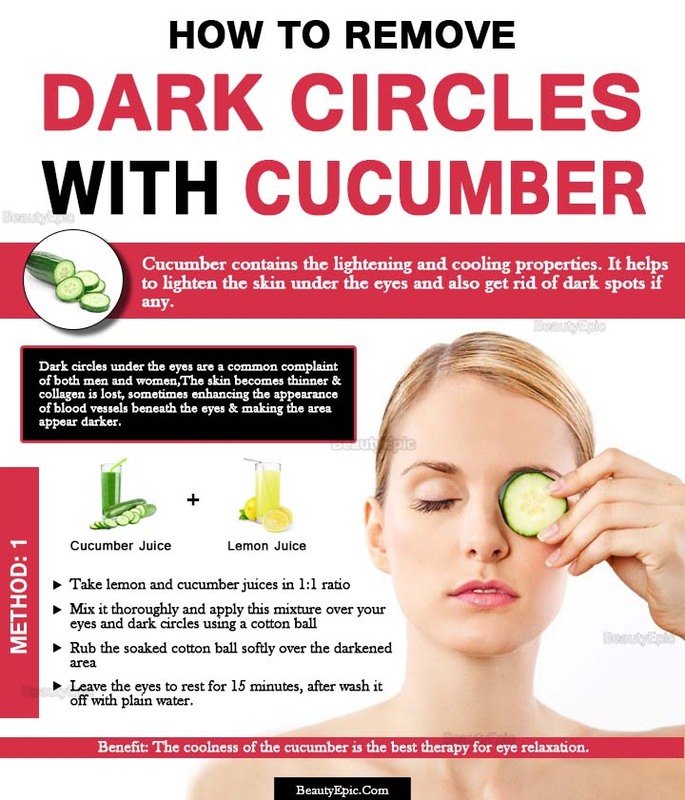 Here are some effective ways to use cucumber for dark circles around eyes. Does Cucumber Really help Dark Circles? Speaking of dark circles, the best substance to turn to is cucumber. Cucumber has some amazing natural qualities and a whole lot of important nutrients which make it beneficial for lightening dark circles. Cucumber is the best choice and the most widely used home remedy to treat dark circles. Astringent, an important component of cucumber contains the lightening and cooling properties. It helps to lighten the skin under the eyes and also get rid of dark spots if any. Moreover, vitamins like A,D,E and K are available in it in plenty which reduce the inflammation and puffiness around eyes due to dark circles. The rich antioxidant content leaves the skin feeling young, smooth and fresh. There are many ways to benefit your skin using cucumber. You can ground it into a paste and apply to your skin, you can extract its juice and use it, or you can just simply slice it and place over your eyes. In any way, cucumber is going to impart a sense of coolness and comfort to the eyes like nothing else can. Cut out two thick slices of chilled cucumber. Place the two slices over your eyes making sure they cover the darkened area completely. Lie on your back for 15 minutes with the slices in your eyes, and let the coolness seep into the skin and eyes. After 15 minutes wash your eyes with cold water. Repeat this daily for at least a week to notice changes under your eyes and see your dark circles disappearing. For people who spend 2-3 hours travelling in the sun, this procedure should be repeated daily and regularly in order to keep the health of your skin under check. This process needs to be repeated once a day everyday for the best and apparent results. Your dark circles will start vanishing and the skin will begin repairing itself. The coolness of the cucumber is the best therapy for eye relaxation. Repetition: Repeat daily and regularly for maximum benefit. There are plenty of other treatment alternatives available in order to get rid of dark circles, but cucumber usage beats them all. It is beneficial in every way, not just for under and around the eyes but for the skin all over the face as well. Cucumber can also be combined with other substances like honey, glycerin or sandalwood powder to create different kinds of face packs with a variety of advantages. It is an all-in-one substitute for chemical cosmetics and various beauty products. Cucumber is super inexpensive but amazingly advantageous with multiple benefits. Owing to its good qualities a lot of beauty brands have come up with shampoos and face washes claiming to contain the virtues of cucumber. Inspite of this, it is always better to use cucumber in its raw form and not rely upon chemically produced cosmetic materials.